It is always surprising to us that with so few people on the Island, the winter months are one of the busiest times of the year for our real estate industry. This pattern of activity seems to validate the observation that, regardless of economic conditions, there are always buyers and sellers who have a need for our services. 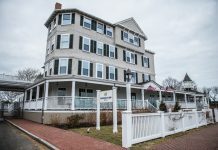 As you might imagine, given the general state of the economy, anyone with any sort of interest in all things Martha’s Vineyard is asking us what may lay in store for Island real estate in 2011. The big question is whether this is the new normal. Unfortunately, crystal balls are hard to come by. However, the answers to these questions in some cases depend upon whose opinion you listen to and ultimately choose to believe. But here are some facts, observations, and opinions that may help you to formulate your own point of view. Some aspects of the Vineyard real estate market appear to have stabilized, while others still remain in transition. The total number of properties for sale has remained relatively constant (650-700 units) for more than a year now and is still well above levels considered normal by nearly 100 percent. Conversely, the number of total sales we averaged per month in 2010 was 34, up from an average of 26 per month in 2009. 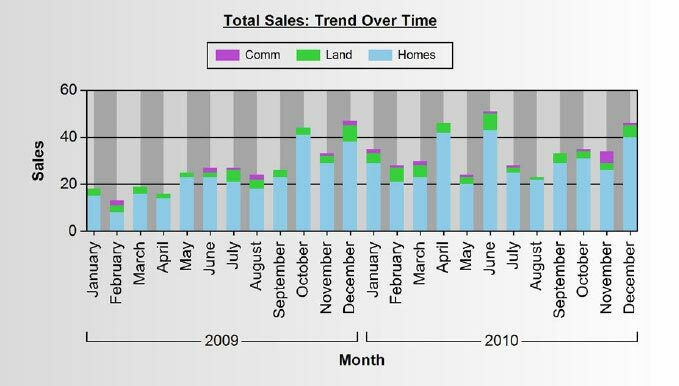 Click here to view a sales summary by month for 2010. Yet with supply exceeding demand by such a wide margin, days on market are still elongated, even though selling prices in the aggregate have modestly increased, on average by approximately 10 percent. Our median and average home prices have adjusted upward from $560,000 to $615,000 and from $961,000 to $1,054,000, year-end 2010 over year-end 2009 respectively. Most industry commentators do not foresee a significant turnaround in the national real estate market until mid-2012, although there are some reasons for guarded optimism that signs of improvement have started to appear this past year on-Island as they have for other like-kind, seasonal destination, micro-markets. This behavior should continue, especially if interest rates remain at historically low levels and credit availability continues to loosen. Our local banks are solvent, competitive, user-friendly and eager to provide lending resources to the Vineyard’s broadly enjoyed, vacation, second-home market. Real estate is a cyclical business, and all real estate is local. The Island’s general correction and relative price stability that was re-established arguably in October 2009, suggests that if we haven’t already, we may be in the early stages of recovery. If this hypothesis is true, then it seems reasonable to anticipate that the market will trend within these ranges of price segmentation and sales volume for a while, before it once again heads upward, as it historically and customarily has performed. The Island is, after all, a finite resource, having both geographic and economic barriers to entry that promote differing forms of price support not typically found in many primary real estate markets. Clearly, there is a tremendous amount of pent-up demand to own property on the Vineyard, as was exhibited by the approximate 30 percent increase in total units transacted in 2010 compared with 2009, the amount of on-going web traffic and inquiry we receive, the number of buyer and seller clients we successfully closed contracts with in 2010, and those parties we continue to actively consult with in advance of the 2011 buyer’s market. Arguably, defined price segmentation and relative value have become more defined and clear than in many years. Choice is vast and opportunity abounds. The operative themes that many of our clients expressed after successfully completing transactions with us in 2010 were: due diligence, preparation, reasonable expectations, and a touch of patience. Lastly, any discussion of real estate nowadays must include the situation involving distressed properties. Being a micro-market that attracts both national and international interest, it becomes very difficult to accurately assess these matters. Unfortunately there are homeowners now facing the loss of their Island properties, but to assign an exact figure is nearly impossible. As a percentage of sales last year, it may be very reasonable to surmise that perhaps 10 percent, plus or minus, could be identified this way. 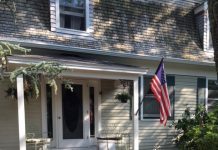 Looking forward, our expectation is that 2011 will feature another relatively flat real estate market on Martha’s Vineyard, with again some modest improvement in transaction volume and overall selling prices as the year progresses. Anything can happen of course, as it so often does, and the Island’s resilience will be tested once again. 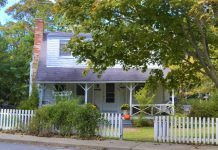 However, one thing is sure: for those individuals who perform their due diligence, work with an experienced Realtor, can see past the fear, doubt, and uncertainty in the current economy, it is a great time to be a buyer on Martha’s Vineyard. Sean Federowicz is a principal at Coldwell Banker Landmarks Real Estate in Vineyard Haven. Landmarks is a full-service brokerage, offering exclusive listings of properties for sale, as well as all available Island-wide listings, and certified buyer representation. Landmarks also brokers vacation and year-round rentals, and Mr. Federowicz also offers periodic analysis of trends in the Island real estate business, to customers and others who may become customers. Reach Mr. Federowicz at 508-693-6866 or mvlandmarks.com.